Let me preface this post by saying...I hate cake pops. That's right it's Valentine's Day and I'm hating on cake pops. I love cake, I love lollipops, but I hate those stupid little donut hole makers and dipping cake squished together with sugary buttercream into even sugarier fondant. BUT I also hate waste. Wedding cakes generate a lot of cake 'waste' after making it level or carving it into a figure. I usually toss all of the scraps into an airtight bag and stash them in the freezer for a rainy day. As long as the bag is airtight and securely wrapped, the cake will not lose any of the moisture it had when you first put it in there. They make a really decadent bread pudding in place of stale bread. For bread pudding I would let the scraps sit out and stale a day or two before using. The difference, you may be wondering, between these little gems and cake pops is more than just the stick. The middle is almost solid cake, I just flavored it with some of the leftover filling from the same wedding cake. No squishy, mushy, way too sweet filling either; I'm talking about the good stuff. There were three flavors in total: spice cake with cinnamon cream cheese, chocolate with cinnamon cream cheese, and chocolate with bourbon caramel. 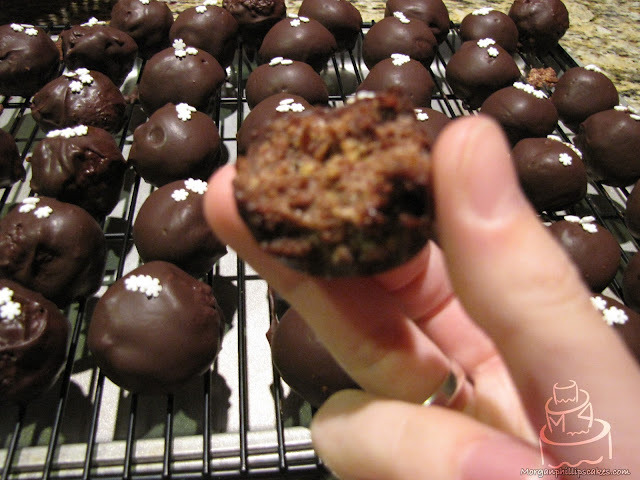 I rolled all three into little balls and dipped them in pure dark chocolate for a delicious finish. 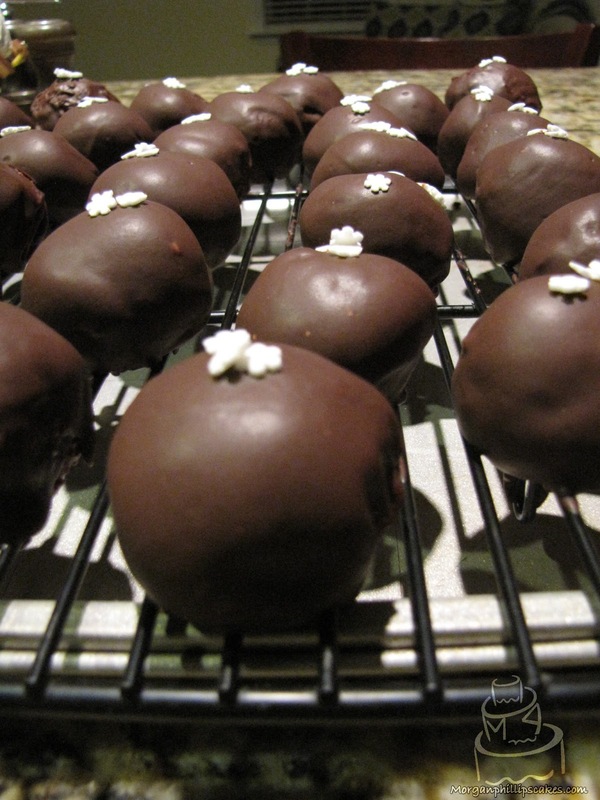 These would be a great addition to a dessert bar at a wedding, or just taking a dozen or so home to your sweet for Valentine's Day. Hope you're feeling loved today!